Looking for facts about consumer product goods in the US? Open source data platform Factual has just launched its Factual Global Products with information on more than 517,000 consumer products. I found only two entries for products from Procter and Gamble, but new data is always being added. While consumers can use the database, it’s primarily designed for use by developers. 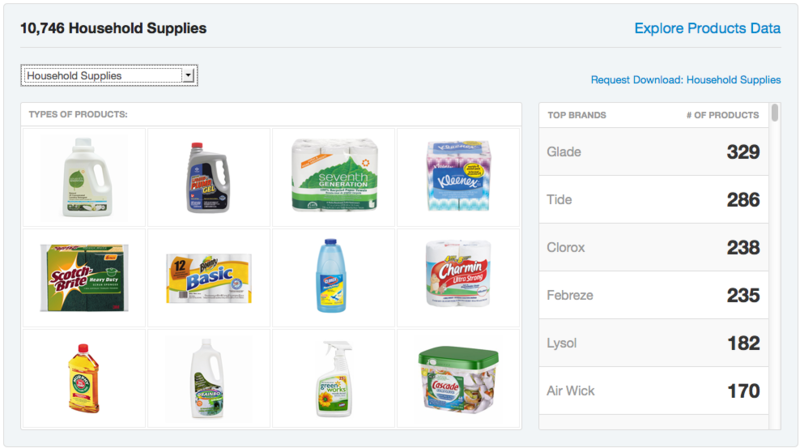 The API for Global Product Search allows searching for products a number of ways, including by name or type of product and then filter by brand. You can also search by UPC. Entries are organized into 226 product categories. Pricing varies based on case use and amount of data used but 500 API calls per day are available for free. Consumers and non-developers can use a web-based interface to access the data. For example, a researcher might want to quickly create and browse a list of prepared meals providers or quickly identify Glade products. Searchers might also want to take a look at the Factual App Gallery to see and download tools using Factual data.